“Growing up I was told this very simple story about where our clothes come from,” Andrew Morgan, director of a new documentary, The True Cost, tells viewers in the opening scenes of his film trailer. “I was told they were made in faraway places by these ‘other people’ and these people needed the work.” Despite never seeing these people, Morgan, like many consumers worldwide, believed he was supporting the “other people” with positive purchasing power. As news of human-rights abuses in Bangladesh hurtled into the public consciousness, however, and the body count began to mount, Morgan discovered an uglier truth that begged to be exposed. While the price of clothing has been decreasing for decades, human rights and environmental costs have grown dramatically. Morgan says the goal of this film is to make those costs vividly clear exploring how we got here, the damage currently being done by the fashion industry, and the “hope filled prospect of choosing a different future.” Considering that after World War II, consumer spending reflected the American consumer as a patriotic citizen, and contributor to the ultimate success of the American way of life, our purchasing power has been grossly distorted and distanced. Pulling in ethical fashion experts like the Green Carpet Challenge’s Livia Firth; People Tree’s Safia Minney; and Scott Nova, executive director of the Worker Rights Consortium; Morgan gives viewers a 360-degree view of an industry that has become irrelevant to the rights of people and planet, and empowers shoppers with a new moral compass. Having just kicked off crowd-funding for The True Cost, Morgan says what he’s now discovered about all these “other people” that make his clothes and clothes for millions more worldwide is that they are part of an outsourcing that outsources responsibility. With 80 billion pieces of clothing a year, his film takes on the arduous task of learning about where that clothing comes from and of course what the “true cost” of our fashion inevitably is. Ecouterre caught up with Morgan recently to talk about his film. Do you feel like we are at a pivotal moment in the fashion industry because of the recent tragedies in Bangladesh? I believe there has been a movement towards this moment for some time now. Rana Plaza certainly added to that, as the price we paid in human life was so high. But what Rana revealed, was already known by experts for years now. It has merely remained one of the best kept secrets of the modern world. What’s exciting about this moment is that in a lot of areas the eyes of the world are opening and people are curious and concerned about what is truly behind the products they purchase. Talk about educating people through film? 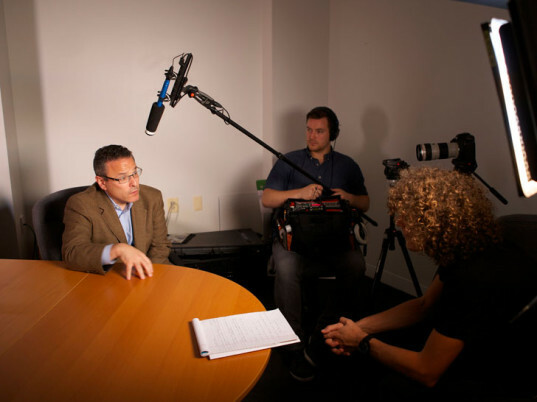 How much more effective is telling a story through a documentary versus a newspaper story? Part of the problem has been in the way we are telling the story. Consumers are proven to be aware that something is wrong, but often times it is so abstract that they feel helpless in doing anything about it. I am interested in making a film that is accessible to the “everyday” consumer while at the same time not dumbing down the content. Mary Poppins was onto something with her notion of the spoon full of sugar. When people are entertained they lower their guard and you have the potential to make them aware of new and disruptive ideas. My experience has been that audiences can rise to the occasion if you refuse to talk down to them and tell a story that resonates with both their head and their heart. Does your film focus on solutions as well as the problems? Yes, very much so. The film will paint a very vivid picture of where we are today, give context to how we got here, but also look forward to a better future tomorrow. Rather then the age old blame game, this is a film about coming together not more standing apart. This is a story that ends in hope, because we have a long history of opening our eyes to even the most complex problems. People around the world are already doing just that and the work of these pioneers over the last two decades has laid the foundation for what I see as truly attainable change. Well, all we have filmed so far is the brief trailer, that we are using as the catalyst for the full film which we will begin worldwide travel and production on shortly. 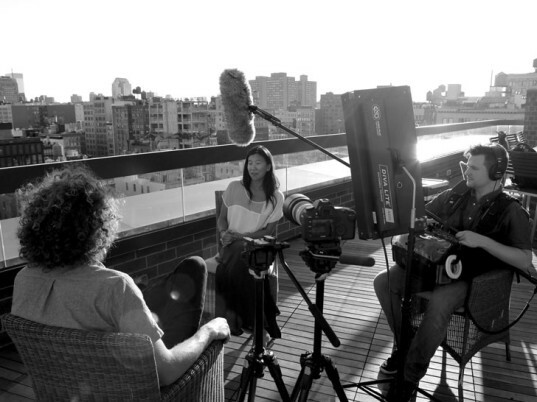 That said, of the interviews we shot for the trailer the author and Guardian journalist Lucy Siegle masterfully explained the stakes and the struggle for the workers who so desperately need our help. When did you start creating the film? I was finishing up my last film in April when I read the story [about the Rana Plaza building collapse]. I wept, began reading everything I could get my hands on and began speaking with people around the world working in and along side the industry. What I found was shocking, both in the extent of the problem but also in the potential for good. What do you think the real—i.e. sustainable—future of fashion looks like? It looks like a closer relationship between people who buy products and people that make them. It looks like care and concern for using less of the earth’s resources being common place. It looks like passionate fashion consumers buying with purpose, and less items that last longer. Worker exploitation will give way to the empowerment of people through good needed work. And it looks like throwing away the temporary term “ethical fashion” because it will have become the new normal. 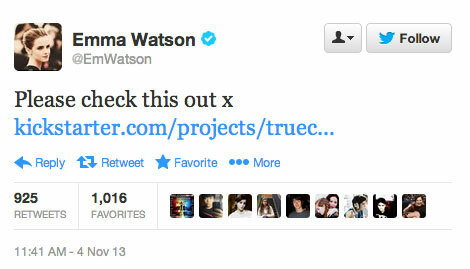 Actress Emma Watson tweeted about the project on Monday. 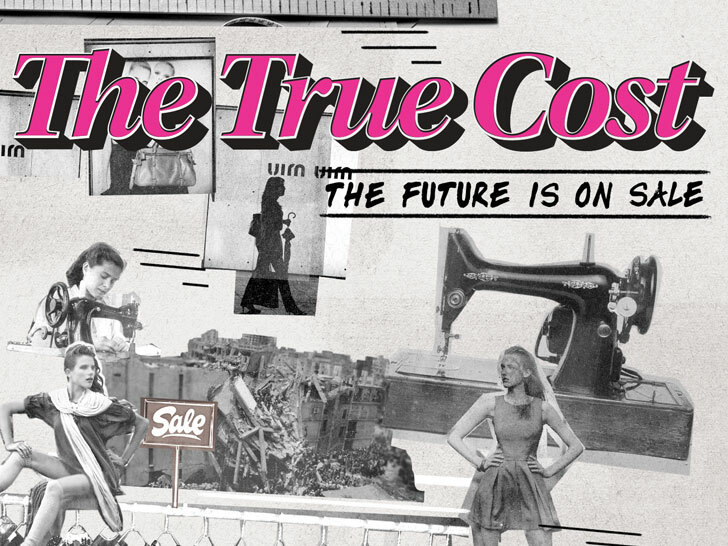 "Growing up I was told this very simple story about where our clothes come from," Andrew Morgan, director of a new documentary, The True Cost, tells viewers in the opening scenes of his film trailer. "I was told they were made in faraway places by these 'other people' and these people needed the work." Despite never seeing these people, Morgan, like many consumers worldwide, believed he was supporting the "other people" with positive purchasing power. As news of human-rights abuses in Bangladesh hurtled into the public consciousness, however, and the body count began to mount, Morgan discovered an uglier truth that begged to be exposed.